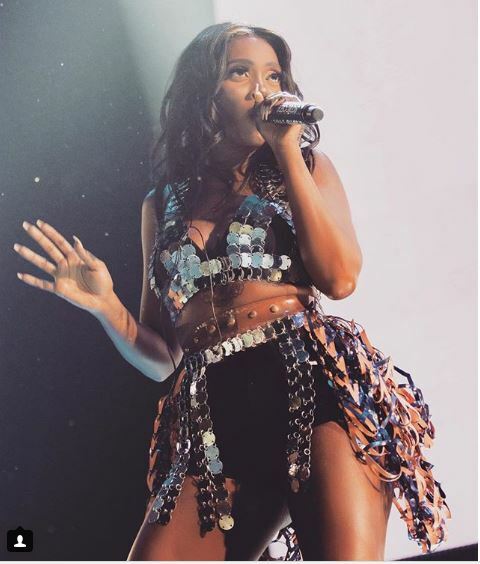 Singer, Tiwa savage is not slowing down as she has continued to deliver influential musical performances on stage. 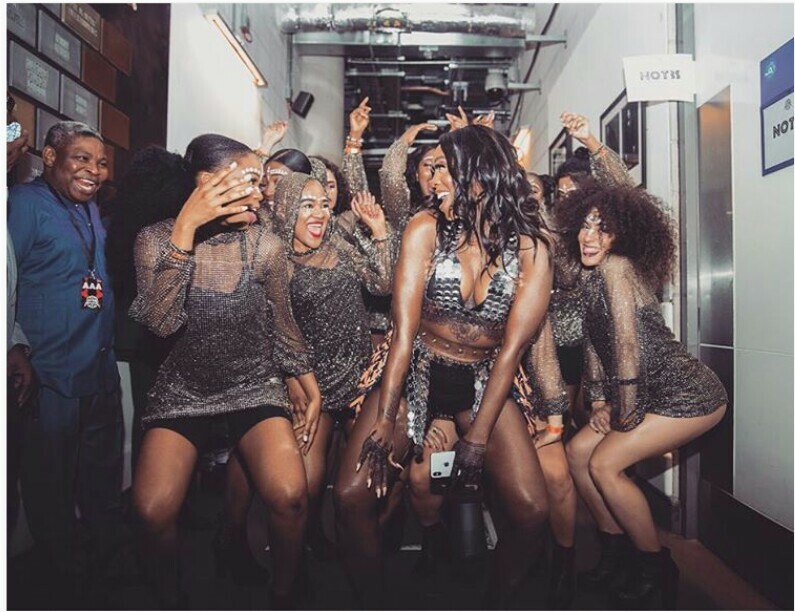 Tiwa Savage is not only sending out harmonious messages with her music, she is also doing the same with her body. She wore an attire which looks like a traditional outfit in a recent performance.